December 15, 2017, was another remarkable day for humanity’s space exploration journey: SpaceX launched a reused Dragon spacecraft atop a reused Falcon 9 rocket for the first time. The purpose of that Falcon 9 launch was to deliver over 2,200 kg (more than 4,800 pounds) of supplies, which include critical science instruments to the International Space Station. The mission was successful. 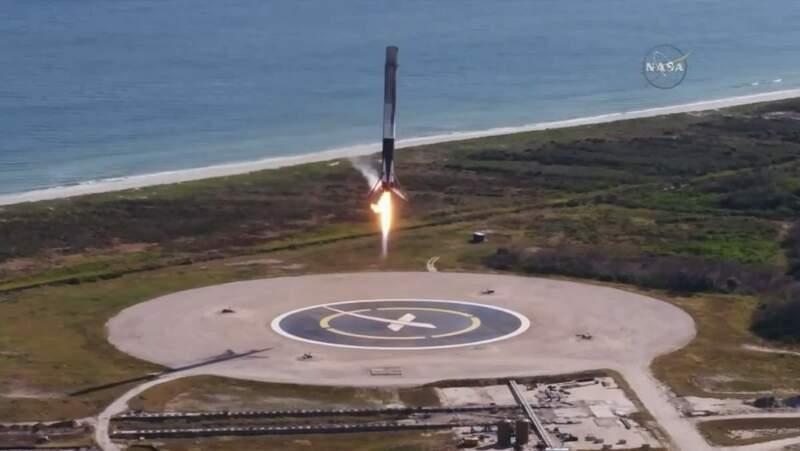 After putting the Dragon spacecraft into orbit about 10 minutes after liftoff, Falcon 9 returned back and landed at Zone 1, a SpaceX facility at Cape Canaveral Air Force Station in Florida. 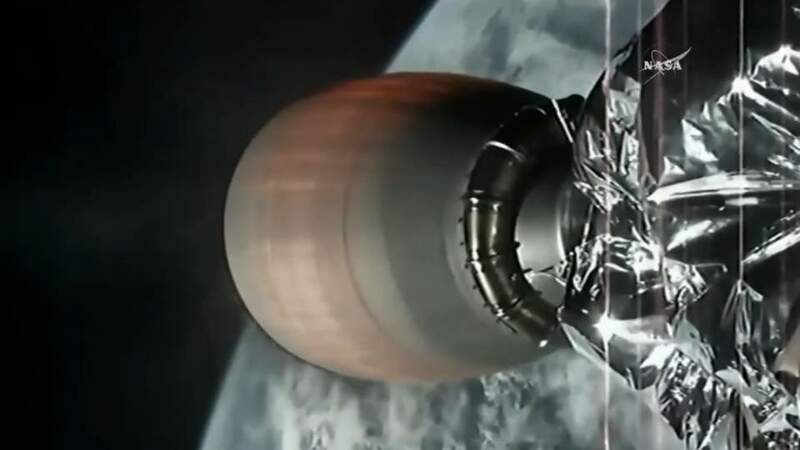 With that Falcon 9 launch, SpaceX, the American aerospace manufacturer, and space transport services company has moved one step closer to its dream of affordable, efficient reusable space flight. To date, SpaceX didn’t launch a pre-flown spacecraft atop a pre-flown rocket. But this time, both the Falcon 9 rocket and its payload have previous spaceflight experience. This Dragon spacecraft visited the ISS back in April 2015, and the Falcon 9 first stage launched a different Dragon toward the International Space Station in June 2017. This is the company’s 13th commercial cargo mission – also the 17th launch SpaceX has conducted in 2017, and the 20th successful first stage recovery overall for the company. Now, SpaceX can use this Falcon-9 rocket in future for the third time. SpaceX has launched the flight proven Falcon 9 rocket carrying the already flown Dragon cargo craft on the CRS-13 mission to the International Space Station (ISS). Liftoff occurred at 10:36 Eastern time (15:36 UTC), 15 December 2017, from Space Launch Complex 40 (SLC-40) at the Cape Canaveral Air Force Station. After first stage separation, the Falcon 9 booster has successfully landed at Landing Zone 1 (LZ-1), Cape Canaveral Air Force Station, Florida. The Dragon spacecraft will deliver science, research, crew supplies and hardware to the orbiting laboratory. Science experiments include the Total and Spectral Irradiance Sensor (TSIS-1) that will measure the Sun’s energy input to Earth, the Space Debris Sensor (SDS) that will directly measure the orbital debris environment around the space station for two to three years, and the Advanced Colloids Experiment-Temperature 7 (ACE-T-7) investigation, which involves the design and assembly of 3-D structures from small particles suspended in a fluid medium, structures that are vital to the design of advanced optical materials and electronic devices. SpaceX Falcon-9 CRS 13 landing back to Zone 1 at Cape Canaveral Air Force Station. December 15, 2017. There was also an attached camera on the Dragon spacecraft. Update (December 17, 2017): Dragon spacecraft successfully captured by the International Space Station’s robotic arm at 5:57 am (ET) (or 10:57 am UTC), after a two-day flight from Cape Canaveral. Update (December 17, 2017): Dragon cargo vehicle was successfully installed on the International Space Station at 8:26 am ET (1:26 pm UTC), where it will stay until returning to Earth on January 13 with results of previous scientific experiments.